In less than three days I’ll be on my way to NYC to see Marvel’s The Avengers! 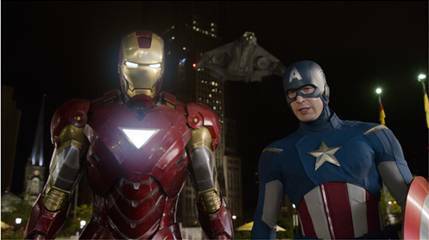 We’ve been watching all the Marvel movies like Iron Man & Iron Man 2, Thor, The Incredible Hulk and Captain America: The First Avenger! My daughter, Bridget, loves Iron Man. I think she knows all the lines in the movie. On the other hand, Thor, is my personal favourite! Woohoo! Can’t wait for The Avengers! THOR THOR and some more THOR!! my favorite..love love. My husband has to tell me to “settle down “when watching the movie. Can’t wait for The Avengers and was SO jealous but happy for you that you got to see him in person.